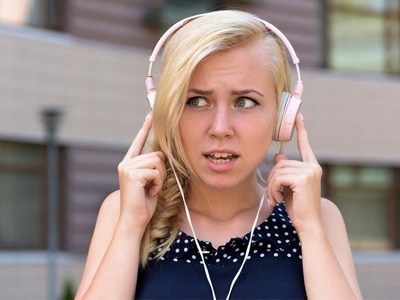 Today, with the popularity of earbuds and other personal listening devices, it’s hard to know if your child or teenager is listening to music at a safe level. Back in the day, when stereo speakers were common, it was easier for parents to know how loud their children were playing music. Tags: Audiology, Hearing, Teens, Support, Hearing Loss, "tinnitus"
Infant hearing loss affects approximately 2-3 out of 1,000 live births (NIDCD). As of July 2004, all babies born in the state of Ohio receive a free hearing screening before they go home from the hospital. The Universal Newborn Hearing Screening (UNHS) legislation has been helpful in detecting hearing loss sooner and allowing families to begin helping their babies earlier. 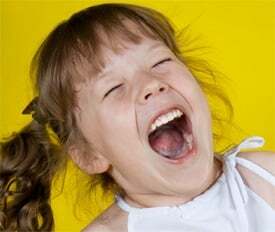 Typically, hearing is tested at birth, and, if it’s normal, is not tested again until approaching age 4. This usually takes place on a visit to the pediatrician. Hearing is screened again when the child enters school. 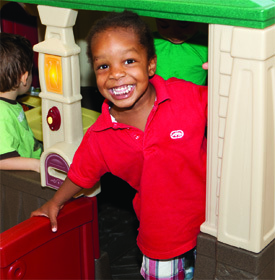 Many schools then alternate between vision and hearing screenings during the school-age years. Impairments in hearing can happen in either frequency (the high or low pitch of a sound) or intensity (the volume of a sound), or both. For example, a person may not be able to hear very high-pitched noises like a whistle, or they may not be able to hear the TV unless the volume is turned up – or both. Hearing loss severity is based on how well a person can hear the frequency or intensities most often associated with speech. Severity can be described as mild, moderate, sever, or profound. Hearing loss can be congenital (occurring from the time of birth) or acquired (developing later in life after a period of normal hearing). 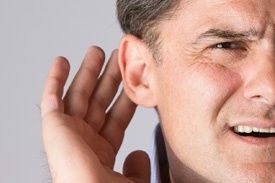 Hearing loss can affect one or both ears – and in different degrees of severity in each ear. A loss that affects one ear is called a “unilateral” (one-sided) hearing loss. A loss that affects both ears is called a bilateral (two-sided) hearing loss. When your hearing aids do not provide enough help in certain environments, or if you don’t wear hearing aids but need help hearing only in certain situations, you may want to consider an assistive or alerting device. Discuss with your audiologist which devices might be helpful to you. At CHSC, we offer a variety of devices and can you determine which is right for you.